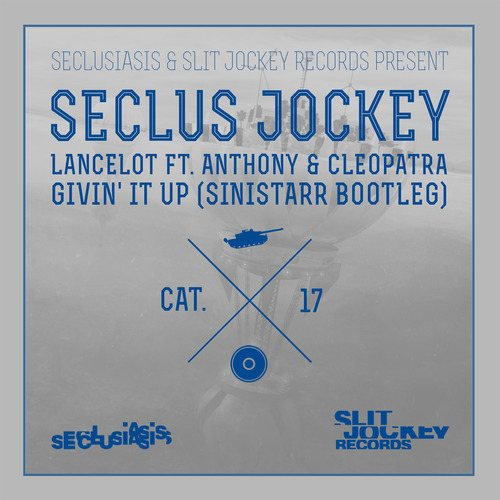 In keeping with his track record of unpredictability, Sinistarr unveiled his bootleg remix of the deep house belter, “Givin’ It Up” by Sydney-based producer, Lancelot, for the seventeenth installment of our SeclusJockey series. In his able hands, “Givin It Up” is transformed into unclassifiable masterpiece. Sinistarr immediately draws you in with the Cleopatra’s lush vocals of Lancelot’s original, laced with Deep House piano lines above timeless breaks and scattered Footwork kicks. And then the tracks transmogrifies into a flurry of chopped amen breaks, hypnotic synth stabs, and manic Juke kicks – all the beneath Anthony’s pulsing falsetto. The result is an R&B/ Deep House/ Footwork/ Club hybrid that unlike anything else we’ve yet released in Seclus Jockey series!